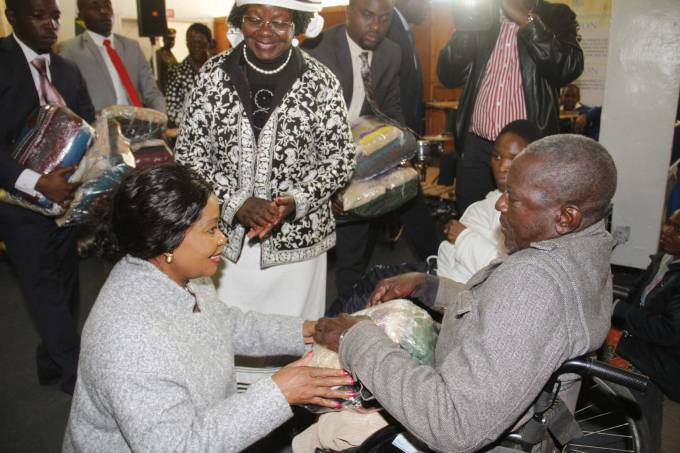 First lady Auxillia Mnangagwa hands over a hamper to Mr Lovemore Matariro during her interaction with disabled people in Bulawayo . 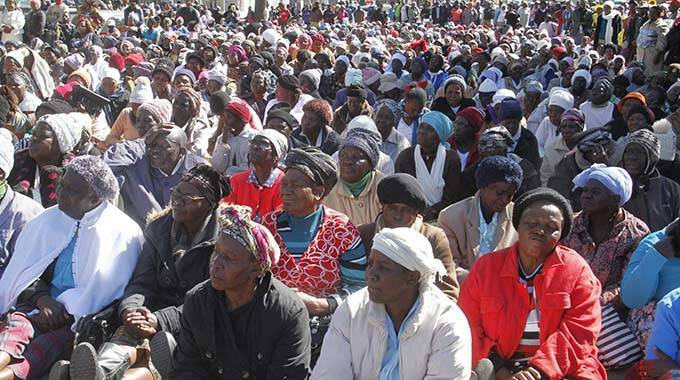 Picture by John Manzongo. 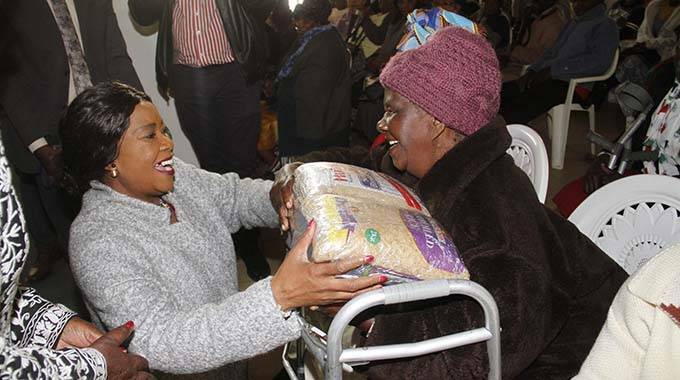 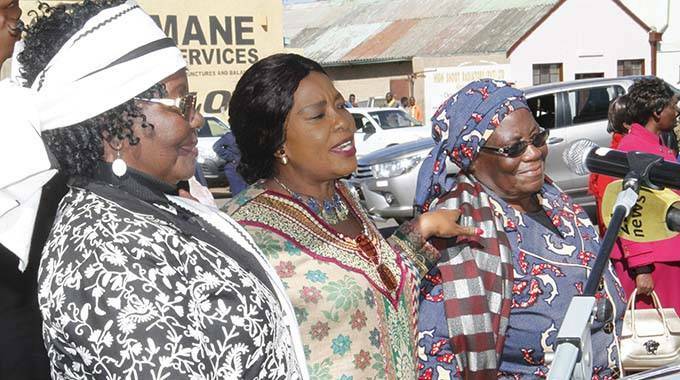 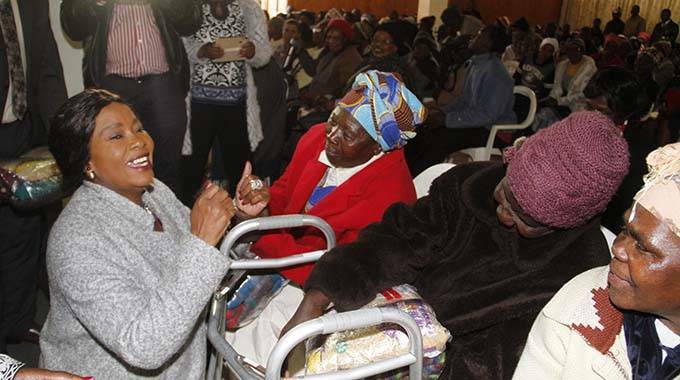 First lady Auxillia Mnangagwa hands over a hamper to Ms Emma Ndlovu while Ms Daisy Machingura look on during her interaction with disabled people in Bulawayo . 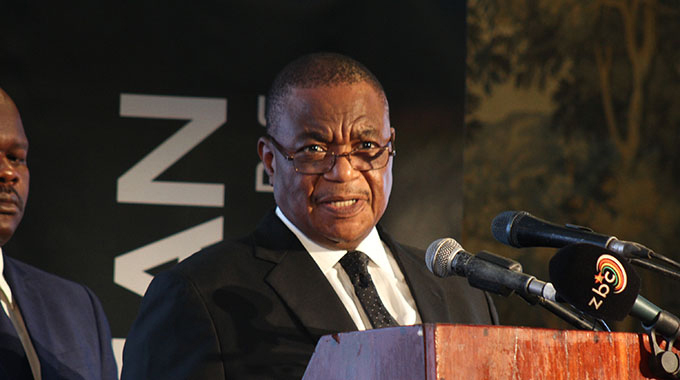 Picture by John Manzongo.